- Its just prettier... who doesn't want pretty? The Nurse Practitioner Show discusses relevant topics utilizing translational research to improve patient outcomes. Topics include evidence-based practice in the clinical setting, interprofessional collaboration, with strategies to improve public health, disease prevention, health promotion, health policy efforts, and advance nursing practice. This is the most convenient way to access The Nurse Practitioner Show on your phone. With this app you are always connected to the latest episodes and the show. You can also star your favorite episodes and save them to a list so you can easily enjoy them over and over! 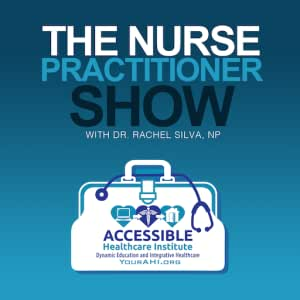 This app is complete access to The Nurse Practitioner Show and if you're a fan of the show you won't want to be without it!